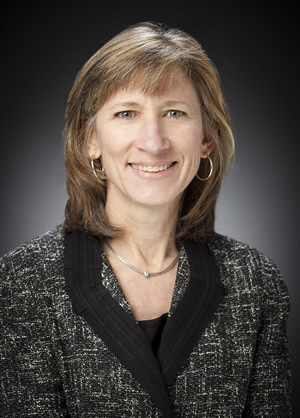 The New Horizons mission has a new project manager: Helene Winters assumed the role from Glen Fountain last week. Fountain, who has been project manager since the spacecraft was still in design in early 2004, plans to retire after 12 years at the helm of the first mission to Pluto. Winters, who like Fountain is from the Johns Hopkins University Applied Physics Laboratory in Laurel, Maryland, brings several years of program and project management to her new post. She served as project manager for the Mini-RF lunar radar instrument, and most recently as project manager for the MESSENGER mission, which orbited Mercury for four years before a planned dive into Mercury’s surface last April. Winters will also continue as MESSENGER project manager through that mission’s closeout stages. Winters earned a bachelor’s degree in computer science from James Madison University and a master’s in systems engineering from Johns Hopkins University. She joined APL in 1997. The Applied Physics Laboratory designed, built and operates the New Horizons spacecraft, and also manages this New Frontiers-class mission for NASA’s Science Mission Directorate.